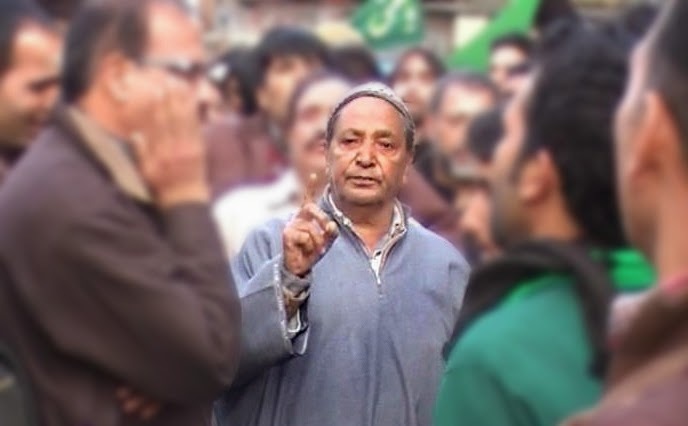 Mirza Sharafat Hussain Beigh is a renowned central chanter of Zuljanah Contingent in Grand Ashura Procession in Kashmir. He is last chanter born at ancestral Beigh Bhawan at Nowpora. He is grandson of Mirza Abdul Ghani and only son of Manzoor Hussain Beigh. Sharafat is himself an urdu poet, elegy writer and chanter.